I must admit, I’ve always had a soft spot for Laphroaig’s whisky. The Quarter Cask was phenomenally good value, and the 10 Year Old used to be terrific (before they lowered the ABV). The 18 Year Old is still superb, if a little expensive these days. There’s no doubting the quality of the spirit either, as I’ve had some simply delicious single cask releases over the years. 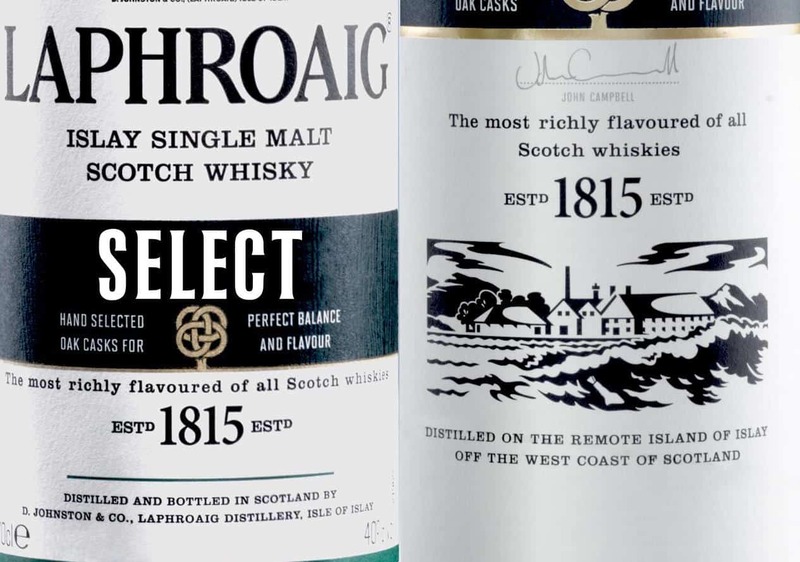 Laphroaig – la-froyg – is an Islay icon, and certainly one of the most well-known distilleries around the world. Established in 1815, it recently celebrated its 200th anniversary. For many years it remained in the same family until the last member died childless in 1954. He left the distillery to Bessie Williamson, his one-time secretary (Whisk(e)y Treasury, Schobert.). She sold up over a decade later, though remained director until 1972. Today it is owned by the corporate drinks giant Beam Suntory. 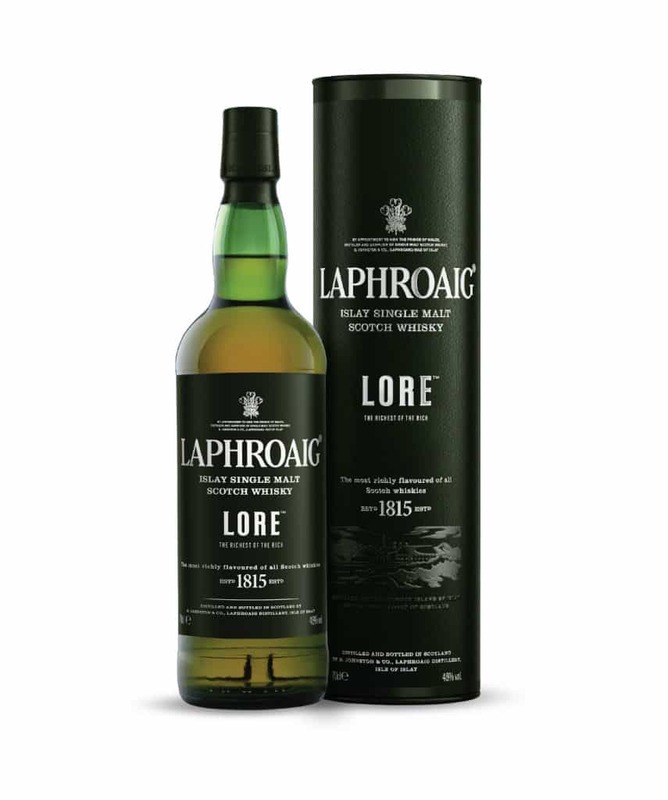 Laphroaig Lore is the distillery’s new ‘No Age Statement’ release for 2016. It is made up of whiskies aged in a combination of quarter casks, sherry casks and ‘reused’ peated casks. Again without an age statement we must instead get some story or a marketing hook, and in this case it is that the Lore is very rich – ‘the richest of the rich’ Laphroaigs, in fact. On Twitter it was revealed that this single malt is a vatting of various ages between 7 and 21 years old. 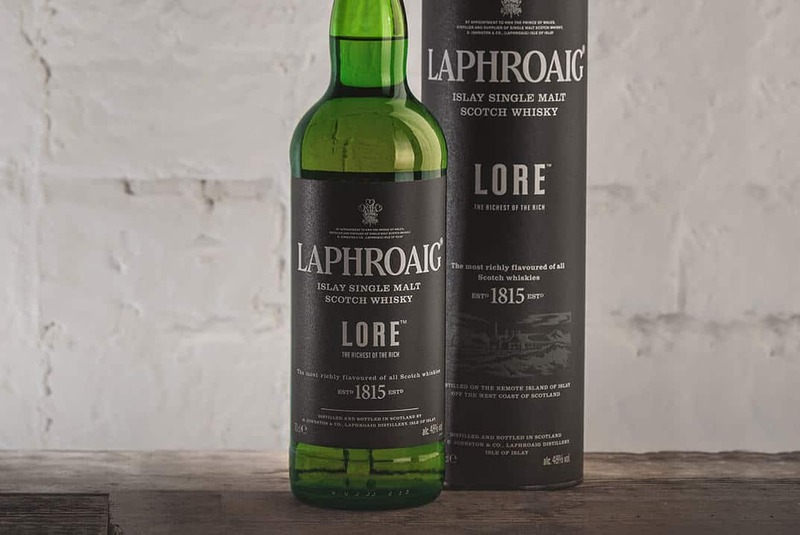 Anyway, the real question is this: is Laphroaig Lore any good? On the nose: timid. There’s that classic Laphroaig peat in there, but it’s seriously muted. A little honey. Orange blossom. Touch of butterscotch. A little leather. Not at all unpleasant, but heavily lacking any complexity. In the mouth: ashy, but not overly so. Creamy, but not too much. A little toffee. Briney. Lemonade. Butterscotch. Vanilla. Milk chocolate. A lingering, dry peppery finish. The peat vanishes to something more earthy. And there end the tasting notes – it’s as simple a whisky as that for me. There’s not much going on at all, and I suspect any power is being given by allowing this to be a higher ABV. That said, it’s one of the most boring whiskies I’ve had in a long time. I actually tried Laphroaig Lore twice. Once at the Midlands Whisky Festival, and again in the calm of my own home. Both times I was disappointed. At the show, many other people were too – especially when price was mentioned. Let me repeat: Laphroaig, or Beam Suntory, are asking £80 for the Lore. £80! 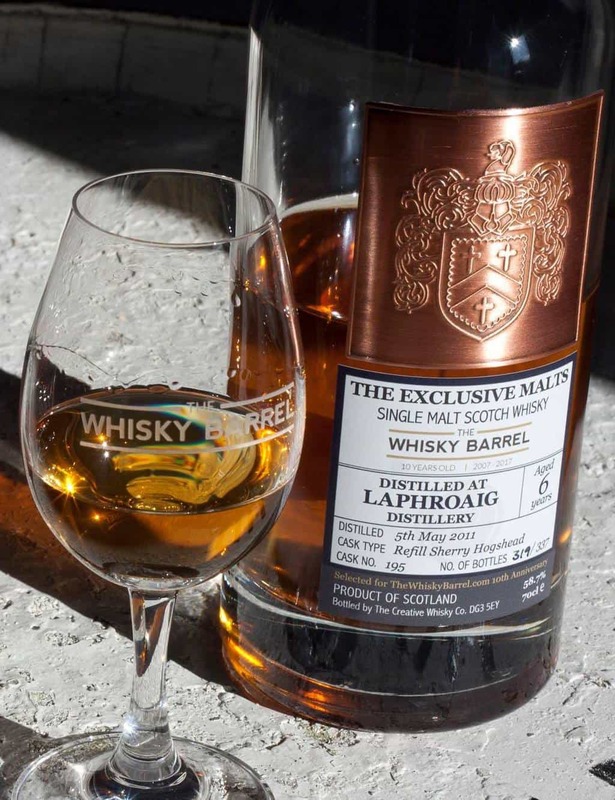 Regardless of the age statement – and not that I’m particularly bothered by such matters – Laphroaig Lore is a below average whisky. It is a dull McLaphroaig, the Nickelback of Islay whiskies, and that they’re charging £80 for it is bordering on ridiculous. Buy the new Lagavulin 8 Years Old instead. Fully agree with your review. My go to is 10yr cask Strength Laphroaig. This Lore is a marketing ploy. Sadly I had to lay $26 for a pour to find out how depressing it is for the money. It’s very good $30 blended whiskey. You had me at the nickelback reference! I have yet to try this it’s $100 in D.C. I have been curious because so many people hype this. Back to your point, brilliant marketing because one of the first things mentioned is the allure of 21 yo cask and then buttery. I opted for a lagavulin 12. Great review! Thanks for stopping by, Robert. Yeah, it’s not a great whisky – the Laga 12 is a much better choice! This just goes to show how subjective taste is. The Lore is my go to example of NAS whisky done right. Apparently Jim Murray agrees with me because he just named it the #1 NAS scotch of the year. I agree that it’s overpriced, but it’s not nearly as overpriced as some of the garbage that Macallan (the true Nickelback of scotch) releases. Could be a different vatting, it could have improved, it could be a different whisky, but I’d be hard-pressed to find anyone to convince me that it was more than a mediocre thing, a shadow of what the distillery was capable of in the past. The Lore costs C$200 here in Canada so it is not likely to be one that I will try anytime soon. All Laphroaig products here seems to be part of the brands attempt to spiral the price into the stratosphere. Good thing I wasn’t “Lore’d” by this. The Quarter Cask is decent enough but the new 10’s really suffered in quality. Have not tried the 10 CS though, which seems to offer a better proposition.